While TV time continues to decline, time spent on social media is steadily growing with Americans now spending an average of 5:30 hours a week on social platforms and the rest of the world quickly catching up. Video is driving this growth and companies like Facebook or Snaptchat are strenuously promoting video tools such as live streaming or 360-degree video, channels which are increasingly being leveraged by media professionals to engage with all kinds of audiences and drive attention or revenue streams. However, social media broadcasting for professionals can be challenging with quality and flexibility being critical aspects. 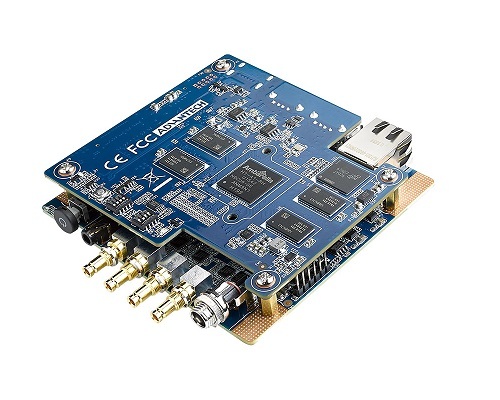 Advantech’s family of compact video encoding and streaming modules can help. Contribution to social media networks is principally conceived to be done from a user’s smartphone. For social users, the convenience and simplicity of the smartphone is very effective, but for professional users the result can be poor quality video and inefficient streaming that cannot compare with broadcast-quality video. Traditional broadcast contribution is based on high quality encoders, satellite links and high-end professional cameras that have been designed to deliver best viewer experience. On the other hand, this is highly specialized, costly equipment that cannot be easily deployed and requires a large crew to be operated. What is required a compromise between the simplicity and portability of a mobile phone, and the quality of a broadcasting setup to deliver a high quality result over social media networks. This implies the streaming device will need to offer the ability to capture and encode input from external cameras and microphones, connect to a mobile network, and make best use of limited uplink bandwidth to deliver the output. This can be achieved by the use of the latest highly efficient coding standards like H.265/HEVC that optimizes stream bitrate. On the other hand, efficiently encoding high definition or ultra-high definition video at professional-grade quality is a compute-intensive task that needs to be optimized in order to keep the live streaming device power consumption, size and cost reasonably small for a portable, easy to deploy and accessible solution. The VEGA 2000 Series of acquisition, encoding and streaming modules can help bridge the gap between consumer and professional video by providing a reduced size, cost effective engine that can capture, encode and stream quality content over a range of networks, including wired Ethernet, WiFi, and 3G/4G mobile networks. Developers can leverage the different VEGA 2000 Series modules to create live streaming devices that support SD, HD and UHD formats as well as HEVC Main encoding for best mobile bandwidth use. The compact VEGA-2000 and VEGA-2001 modules support video acquisition directly from a camera via HDMI or professional SDI inputs. In more advanced setups, one channel of mixed video from different camera sources can be sent to the module for encoding. The acquired video is live encoded to H.264 (AVC) and/or H.265 (HEVC) standards by an integrated low-power SoC consuming less than 5W. Hardware-based encoding allows for extended battery life and compact solutions. The encoded video can be streamed through built in GbE or USB ports. A 4G/LTE adapter can be connected to the USB output for direct streaming over wireless networks. The VEGA 2000 family’s small form factor and low power consumption allow for extremely portable social media live encoder configurations to be created, from camera attached devices or anywhere broadcasting backpacks to small desktop units or live event streaming suitcases. They offer a developer-friendly HTTP interface, can be remotely controlled using a web-based CGI command set, and support common internet video streaming protocols such as RTSP, RTMP and HLS. Professional grade HD and UHD HEVC encoding: the VEGA-2000 and VEGA-2001 modules enable media professionals to go live on social media platforms at a fraction of the cost of a broadcasting setup without jeopardizing video quality. Live streaming from anywhere, anytime: the VEGA-2000 and VEGA-2001 support the latest and most efficient coding technology to make best use of mobile network uplink bandwidth allowing for HD and even UHD video streaming in the most challenging scenarios. 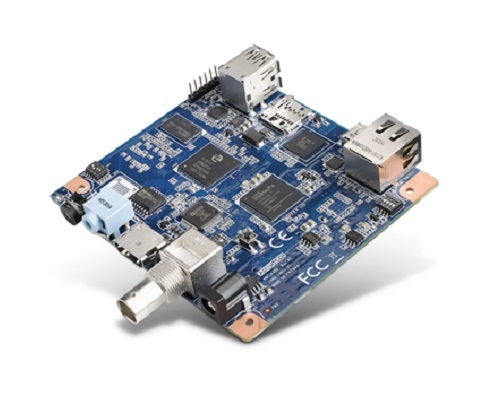 Easy to setup: developers can leverage the VEGA 2000 Series of application-ready modules to build user-friendly devices that can, for example, integrate a simple “Go Live” button or an LCD display that provides streaming information or a self-view. Advantech puts its customization, integration and design capabilities at its customers’ service so that they can chose their sweet spot from commercial-off-the-shelf modules to fully customized boxes. 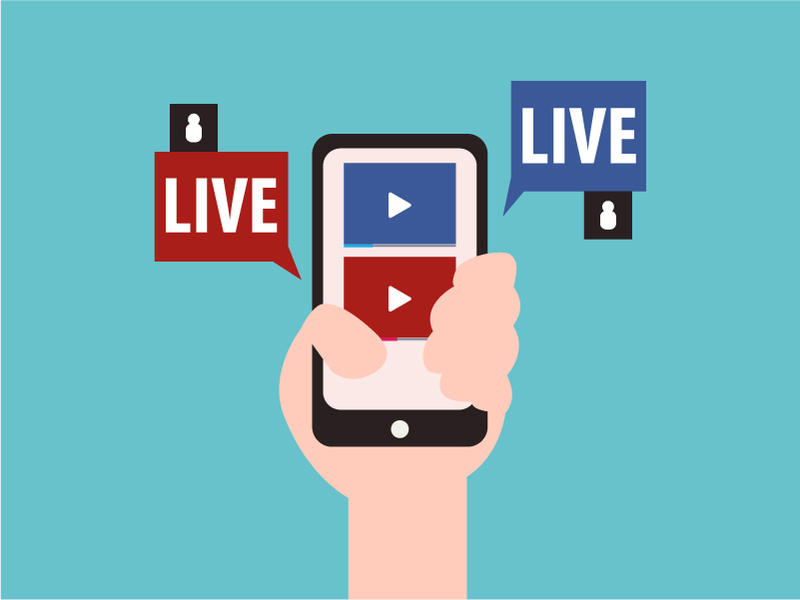 Social media live streaming is becoming an important alternative platform to engage with viewers which spend more and more time online. 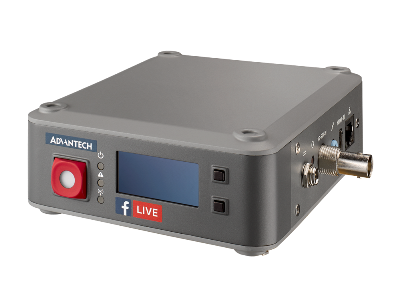 Advantech VEGA 2000 Series of Acquisition, Encoding and Streaming Modules are the perfect solution to seize social media broadcasting opportunities at a more professional level. Their encoding quality and wide choice of integrated video interfaces combined with their impressive small size and low power consumption allow for portable, easy to setup and cost efficient live streaming solutions that enable video professional to instantly start sharing powerful stories with a broader and global audience. Advantech VEGA-3304-8K is the first 8Kp60 Real Time HEVC Encoding Accelerator enable real-time, professional-grade HEVC video processing at much less power consumption than a software-only solution. To satisfy the flexible demand from the market, VEGA-3304 series includes muli-channel support up to 4-ch 4K for high density demand. 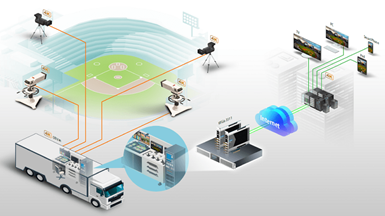 VEGA platforms bring significant density and time-to-market benefits to a wider range of 4K, 8K, Virtual Reality and 360° video applications for the broadcasting, mobile, medical, transportation markets, and many other industries. The VEGA-3304 is designed with double width, 3/4 length PCI Express x16, compatible with server GPU slots to make easy-to-integration. 1-ch 8K/4-ch 4K Video inputs are supported to real time encoding at 10 bit colour depth with HDR support and 4:2:2 chroma subsampling.The VEGA-3304 support Linux SDK and FFmpeg plug-in to streamline product development and integration.